A huge shoutout and thank you to all my friends who supported me over the course of this project, you kept me sane (for the most part) and I dedicate this to all of you who helped me. A special thanks goes out to Lukas Guziel, Christian Behrendt, Ash Thorp, Raphael Rau, Jonatan Salomonsson, Benedikt Wolters, Moritz Schwind, the people over at Maxon, Quixel, Otoy, Marvelous Designer, Entagma, Daniel, Alex, Richard and the rest of the Industry Workshops crew. Build in Cinema 4D R18, Octane, Fusion 360, Marvelous Designer, Substance Designer and DAZ3D. 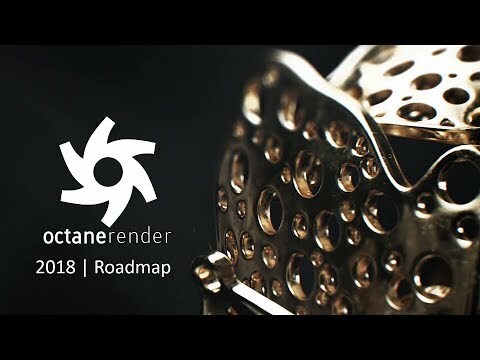 OctaneRender 4™ è uscito oggi! Los Angeles, CA. – 21 Novembre, 2018 – OTOY, Inc. è orgogliosa di annunciare il rilascio ufficiale di OctaneRender ™ 4, basato su un decennio di innovazioni che hanno rivoluzionato il rendering commerciale della GPU su film, televisione, grafica animata, architettura e design.